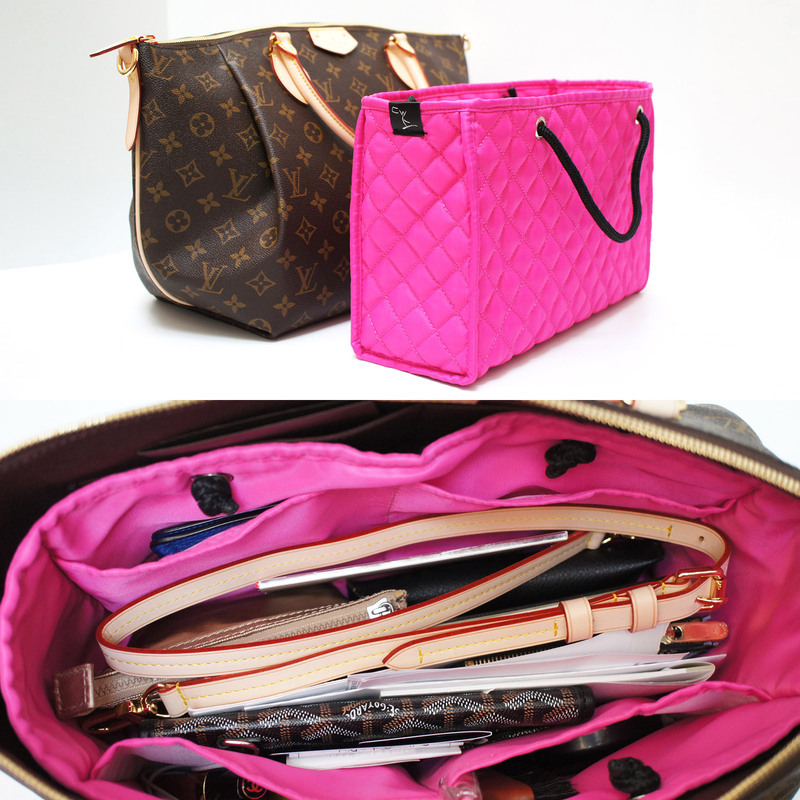 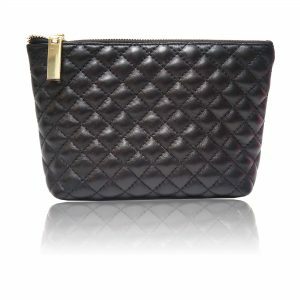 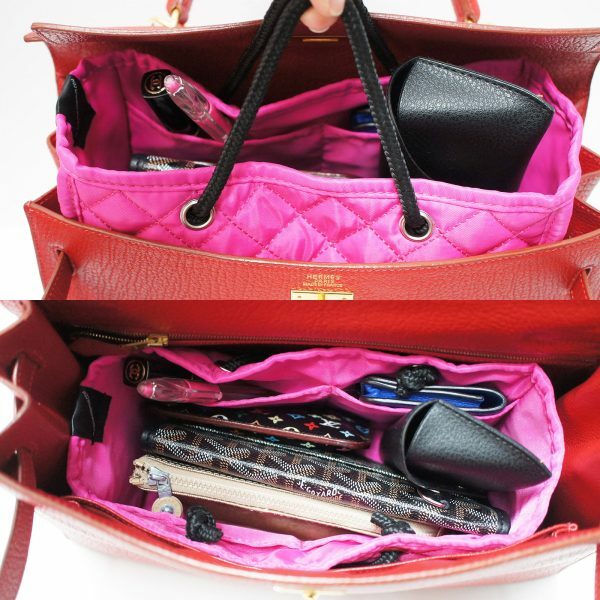 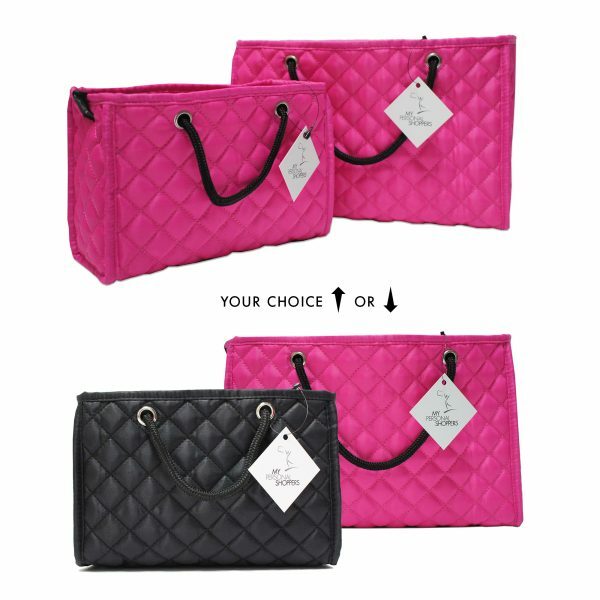 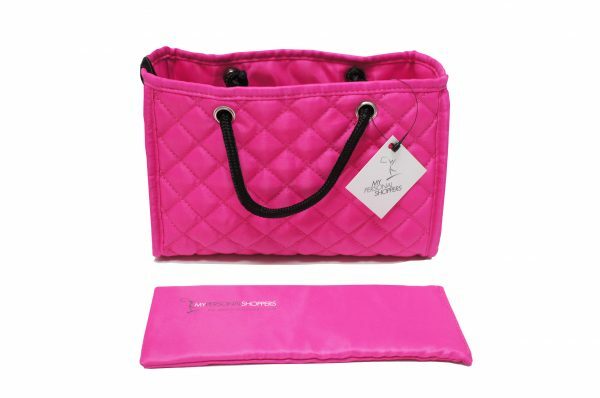 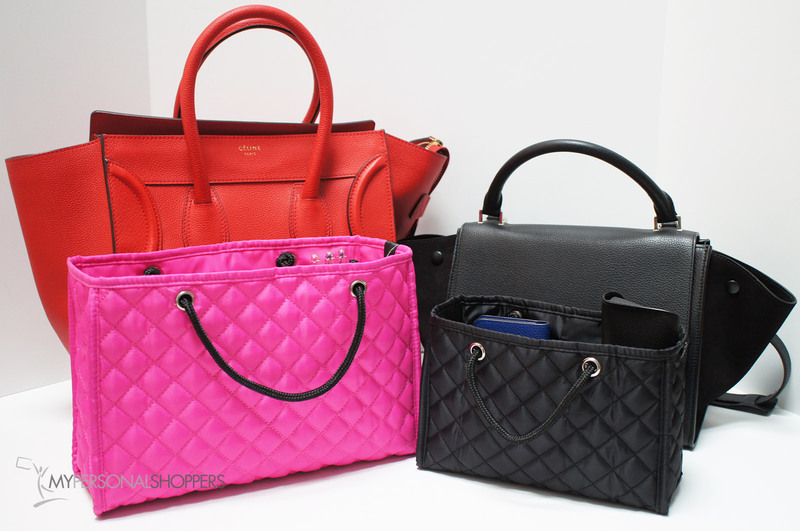 Protect and organize your handbags with our chic custom designed quilted handbag organizer inserts. 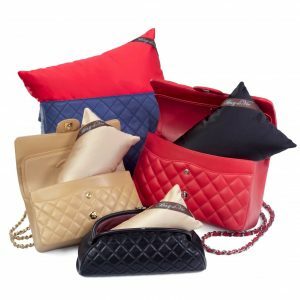 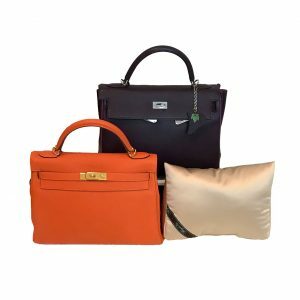 Handbags and accessories have long been our passion and we designed these inserts keeping in mind that being organized should not mean giving up on style! Our ZOE inserts will keep your bag organized, protected from make-up spills and other mishaps, all while still having the look and feel of a quality product you will love placing inside your bags. 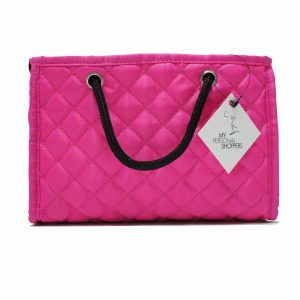 Soft quilted mini tote, with handles to allow for quick transfer from one bag to another, 4 deep pockets to help organize, plus one large middle compartment to keep your stuff in place. 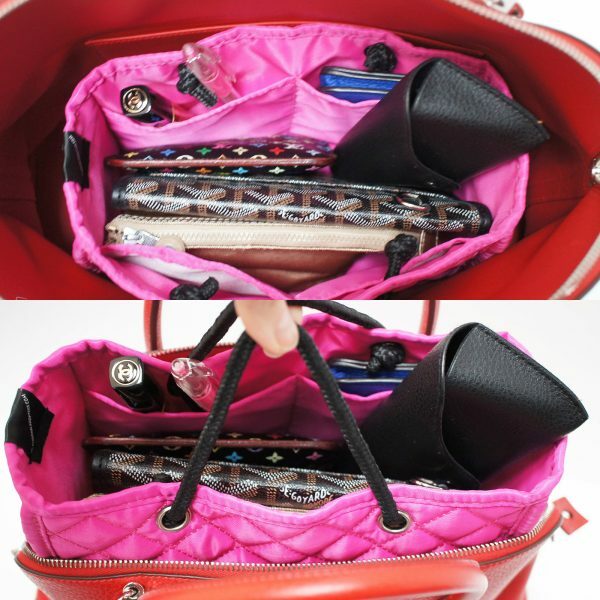 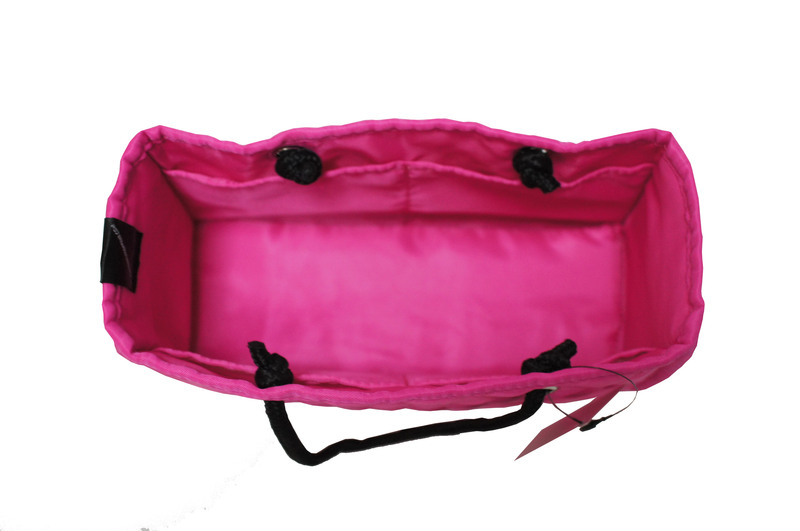 Comes with a hard reversible bottom to help structure your bag as well! 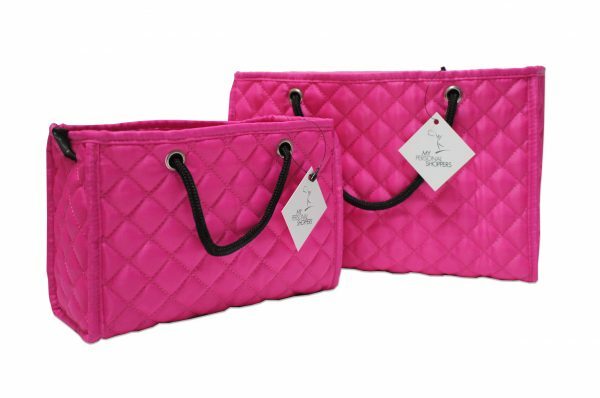 You’ll love these as much as we do! 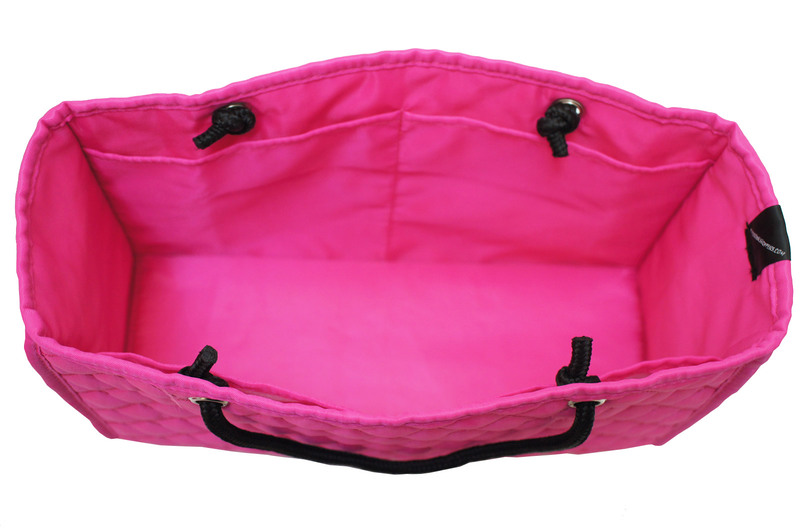 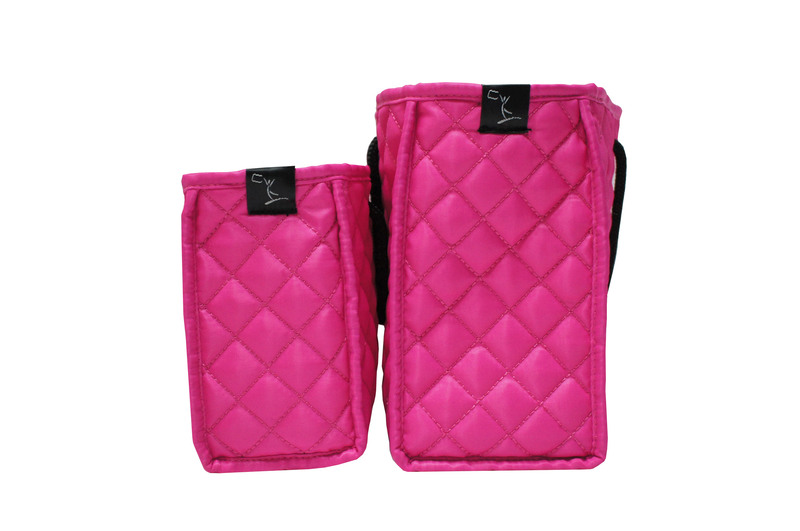 This listing includes TWO inserts (one large + one medium) in your choice of color combination (both in Fuchsia Pink OR large pink + medium black). 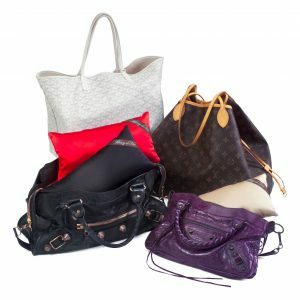 Bags pictured in photos are not included, for reference only.